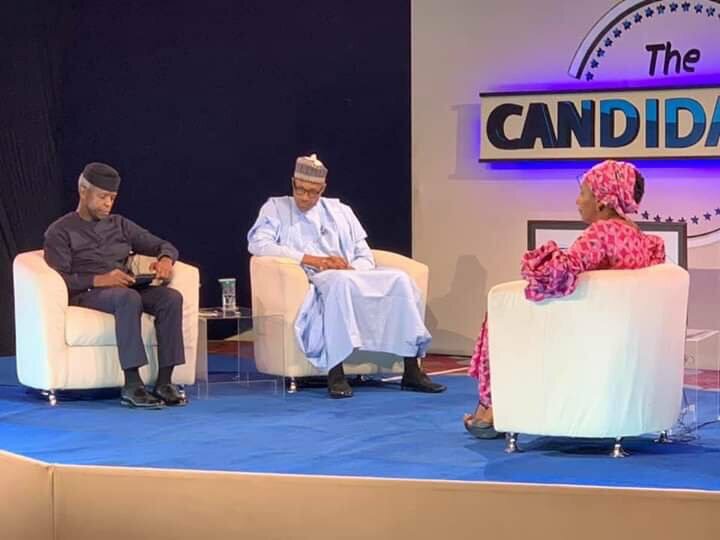 The president gave the challenge at a town hall meeting tagged: â€˜The Candidatesâ€™ organised by the MacArthur Foundation, in collaboration with NTA and DARIA Media in Abuja on Wednesday night. President Buhari was fielding questions on the allegations that the governmentâ€™s anti-corruption crusade was skewed against a section of Nigerians, and that members of the governing All Progressives Congress (APC) with questionable credentials were being protected by the government. However, President Buhari said: â€œThat is not fair criticism of the government. I do not think there is anybody that is being pointed out as corrupt in this dispensation which we looked the other direction. â€œI told you why I have to be careful; the public should help us, if there are strong allegations that are backed up with evidences, bank accounts, names of companies floated and contracts awarded. â€œThen we will take them before the courts through the EFCC and ICPC; and we have to trust the system and allow them to complete investigation. â€œIf we just take people in as we did during the military and lock them up, the present democracy a multi party democracy does not approve of that. â€œIf you accuse any person, you have to provide evidence in court for him to be prosecuted. So, if there is strong allegations, the government may decide to ask people to go, like in the case of the former Secretary to the Government of the Federation, we asked him to go. He said: â€œIt wonâ€™t be the first time I will lose election..